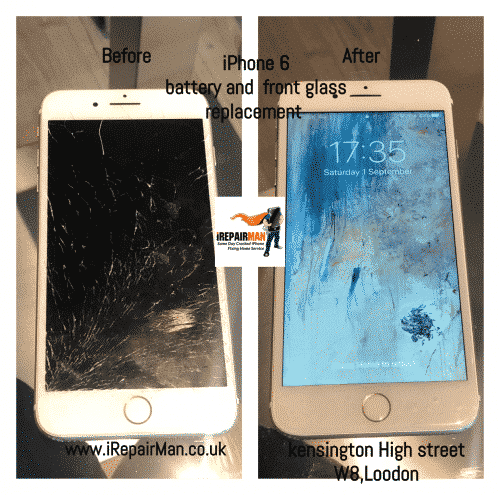 A Customer in Kensington High street W8, booked the iPhone 6s Battery and Front glass replacement over the phone with iRepairMan Customer Advisor. She informed that how her phone was broken accidentally when she was walking on the pavement while searching something from her purse and accidentally her phone was dropped on the concrete and it smashed the whole glass and she was not able to use touch even. She called iRepairMan and we fix her iPhone screen same day in few hours at customer house in High Street Kensington W8. A customer was really happy. 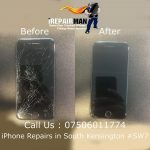 Why do you need a professional to repair your phone?